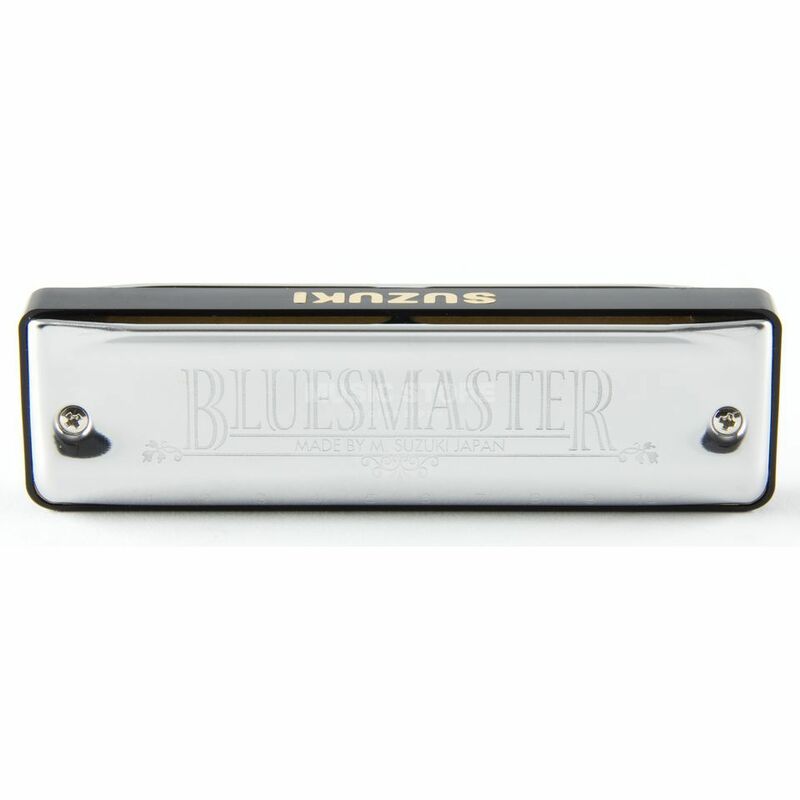 The Suzuki Bluesmaster in G Diatonic Harmonica is a diatonic harmonica, in the key of G, featuring an ABS plastic comb, with brass alloy reeds, and a polished stainless steel finish. The SUZUKI Bluesmaster Harp is an extremely reliable instrument with a warm and soft sound. Its excellent workmanship gets it a special instrument; for beginners and also professionals. The caps are made out of sturdy stainless steel and protect the inner of the harp from coarse damage. Especially for making Blues-Music this harp finds utilization. *Image may not show correct key of instrument as advertised!